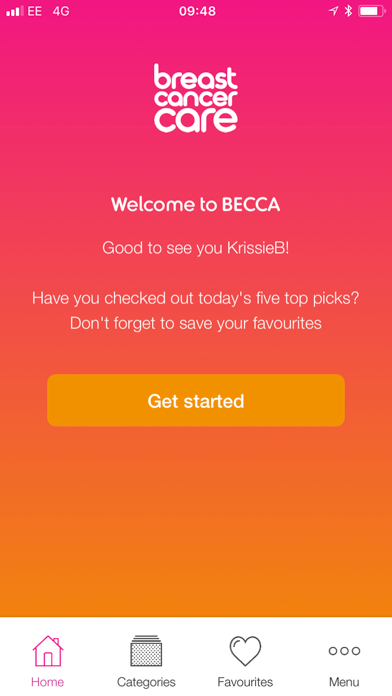 Breast Cancer Care's BECCA app provides specialist support to help you live with, through and beyond breast cancer. 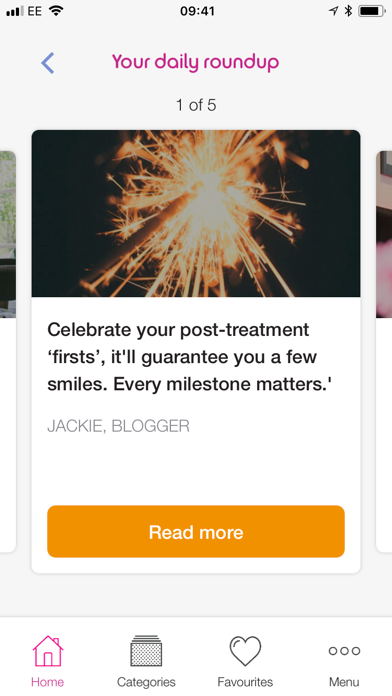 Easy-to-use flashcards give information, support and inspiration to anyone struggling to find their "new normal" following diagnosis. 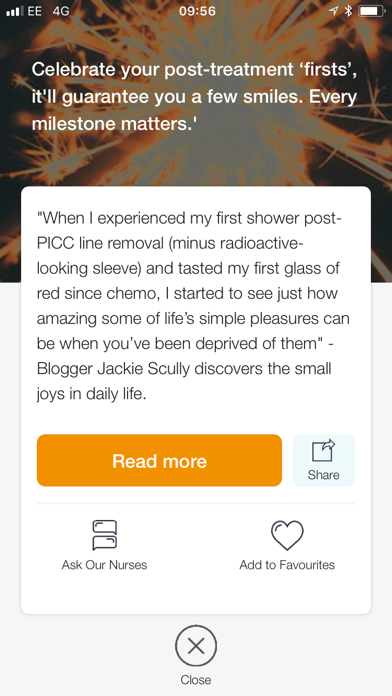 BECCA is for anyone finishing treatment for primary breast cancer. 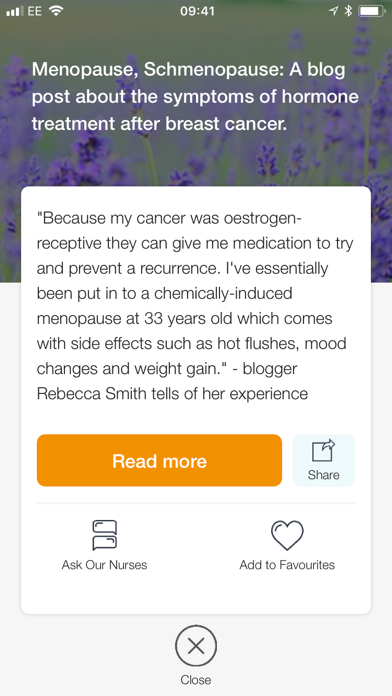 BECCA helps you adapt to life after breast cancer treatment by giving you access to relevant and trustworthy advice directly on your mobile device. 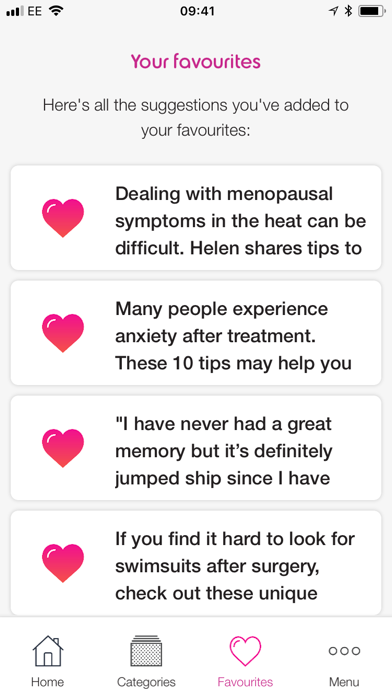 You'll find tips on a range of subjects including health, exercise, food and what is now normal for you. 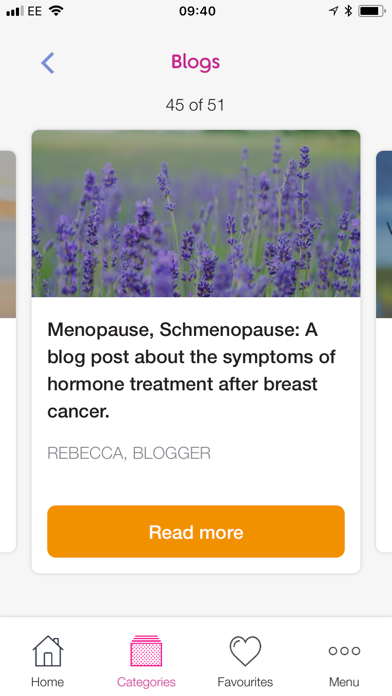 Daily blogs by people living with breast cancer are designed to help you understand your symptoms and feelings, and give you confidence to move forward after breast cancer.